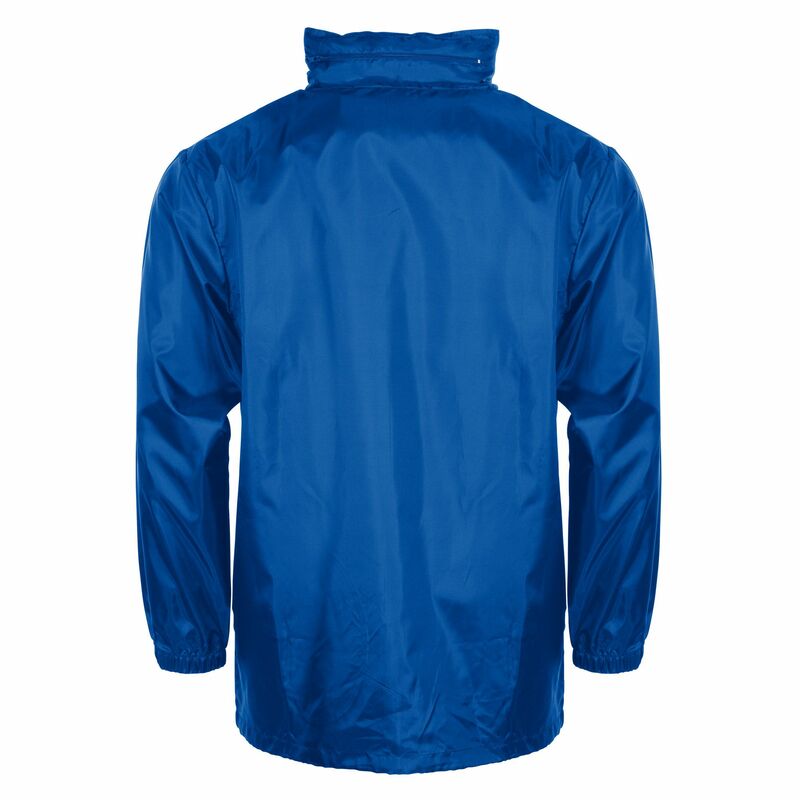 The Stanno Field Jacket is made of 100% polyester, finished with a water-repellent coating (600mm PU). 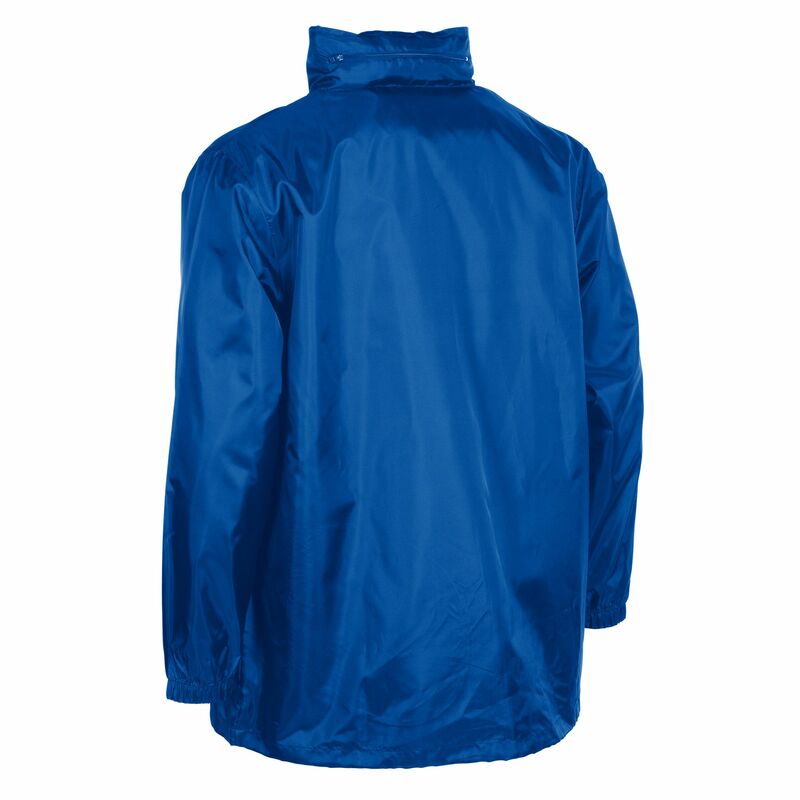 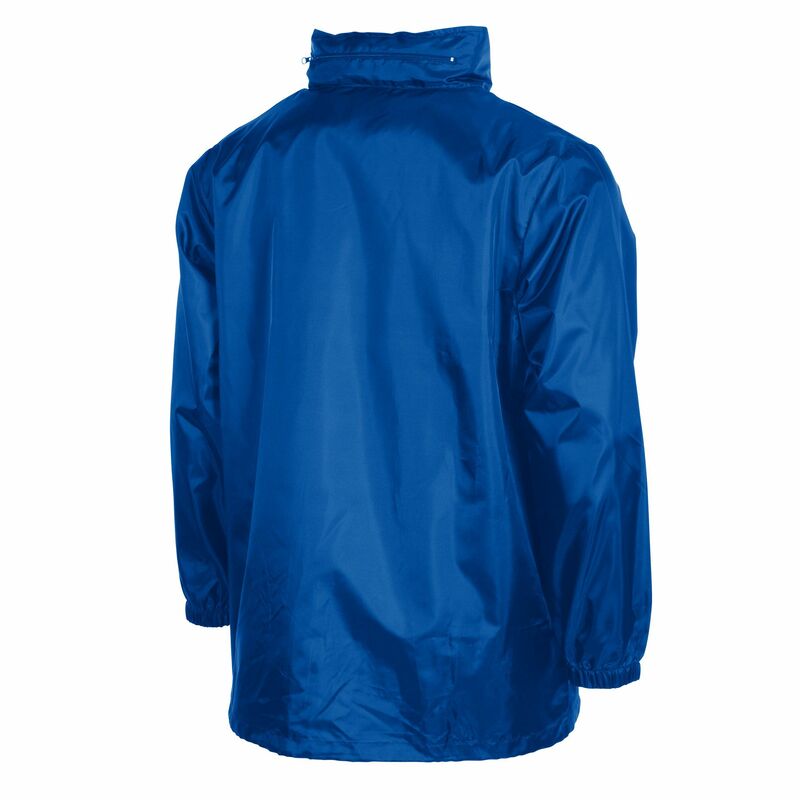 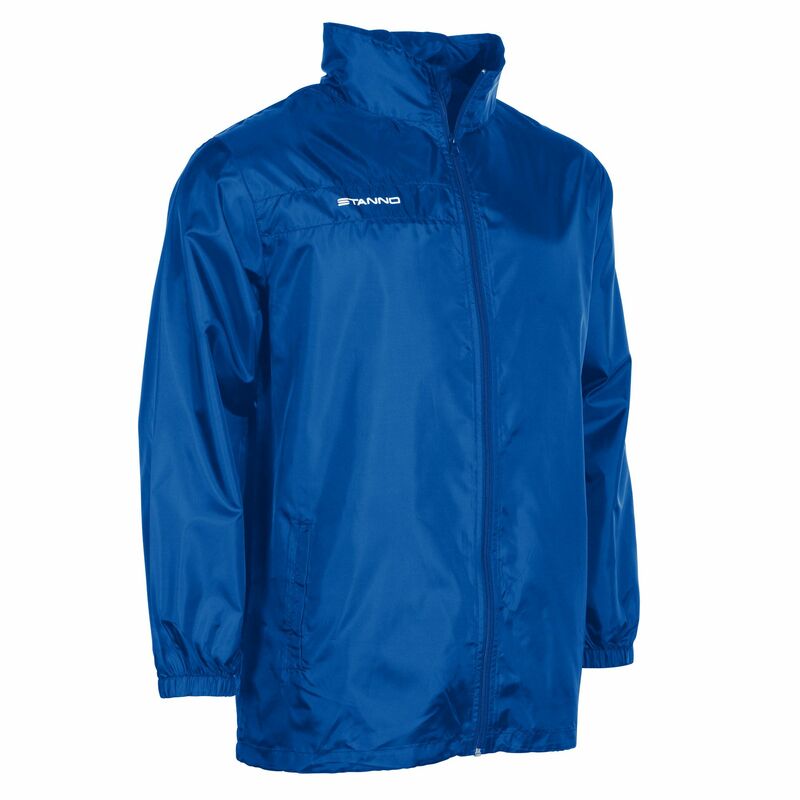 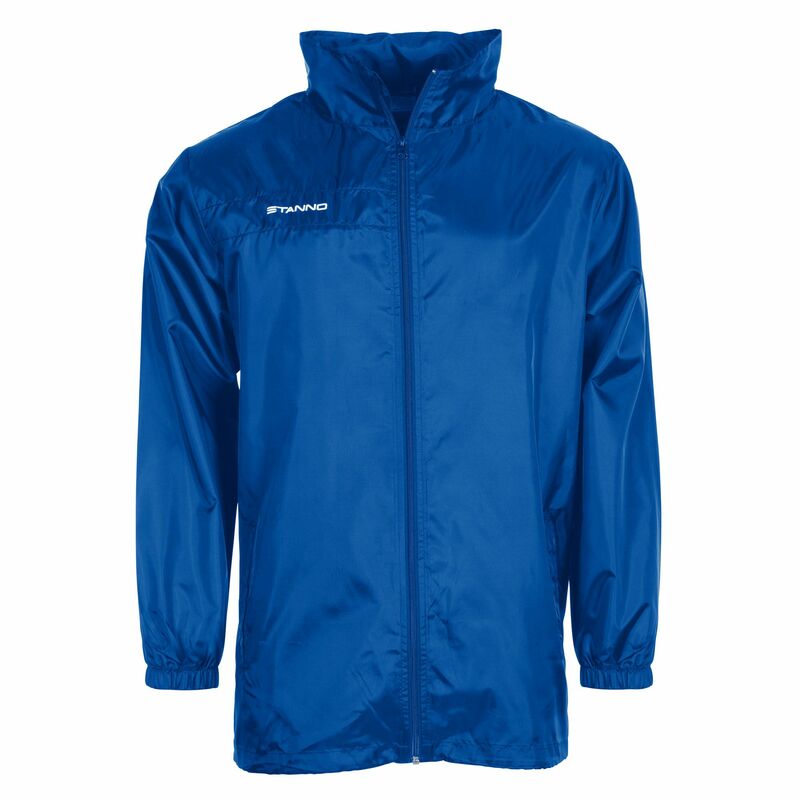 The body contains a 100% polyester mesh liner and the lining of the sleeves is 100% polyester tafetta. 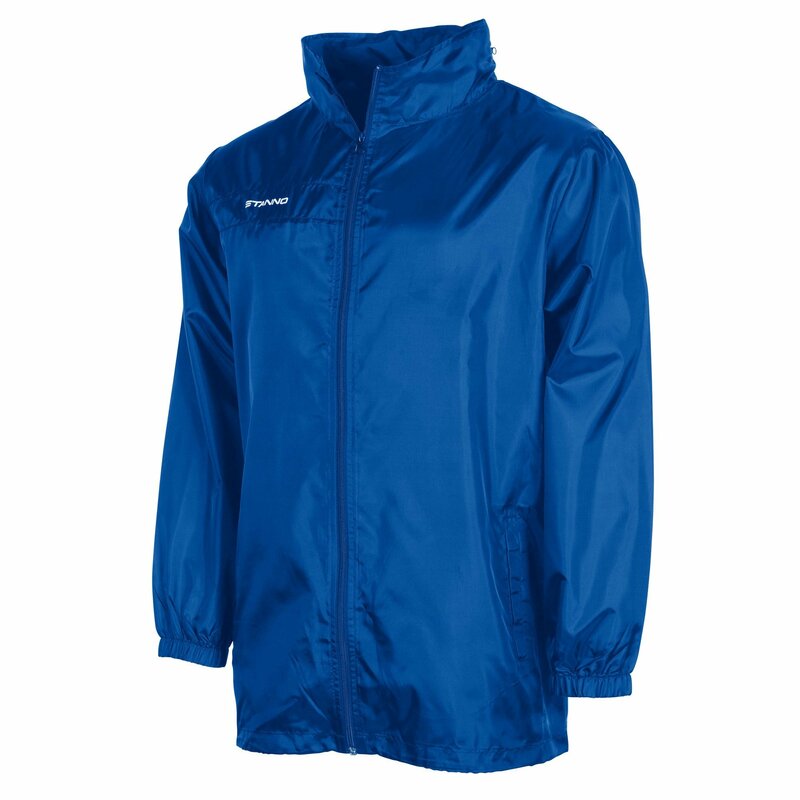 The jacket features elastic cuffs, a tunnel with drawstring at the bottom, two side pockets (without zip) and a hidden hood inside the collar. There’s a printed Stanno logo on the right chest and the opening for a print plate makes it easy to print on the back.